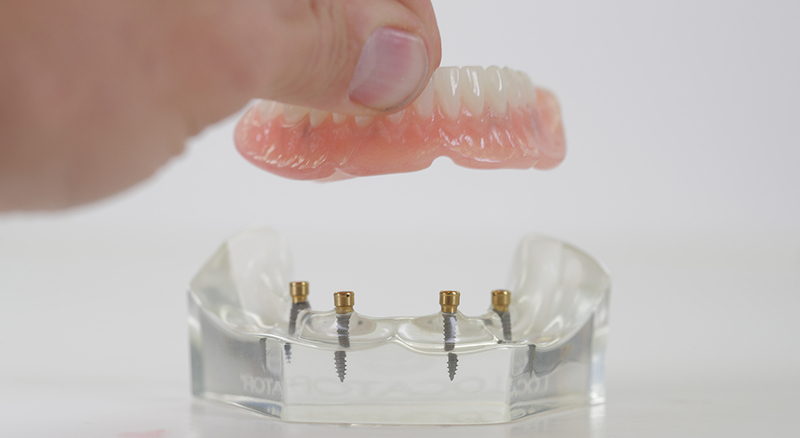 Simply put, overdentures are implant-supported dentures. They are also known as implant-retained dentures. General Practice dentists and other clinics may perform this procedure but the Renew system is revolutionizing the industry. Renew offers patients a full-mouth restoration solution delivered via a single-office. We have everything under one roof, including our experienced doctors in our on-site laboratory giving patient new smiles in one-day, and with our quality features. Traditional overdenture treatment is typically performed in a regular dentist office by a dentist who may have less experience in this specific treatment, while attending to other patients for general dentistry. At Renew our doctors are specifically trained on and have substantial experience in providing and delivering one-day* dentures with dental implants. This anchored denture procedure is all we do at our Centers. Our doctors have the ability to collaborate with each other to ensure quality care for each patient. The real importance is using all the technology available and the proper planning and placing of the implants. At Renew our doctors perform this procedure only, and are specifically trained on the Renew way. As our patient, you can be assured you are in good hands. Renew doctors stand behind their work and offer a warranty so you have the peace of mind you deserve. 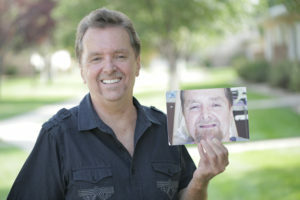 Traditional overdenture treatment takes months of work and patients spend weeks living without teeth. Their teeth are removed, implants placed, and a mold of a denture is sent off-site to be created by a laboratory. Meanwhile the patient is left without teeth, waiting for their new teeth to arrive, and then going in for several adjustments and resending the denture off-site for adjustment. At Renew we strive to provide quality snap-in teeth for patients. Each Center has a complete laboratory right on-site. The day of your procedure, the lab is custom fabricating your new Renew smile. With master lab technicians in our Centers, changes and modifications can be made instantly. Patients leave our Centers the day of their procedure with a new beautiful smile that can last a lifetime. You have the freedom to eat, laugh and smile again with confidence. Yes, where you go for treatment does matter! Quality is important to you, and we guarantee our Centers use quality materials and leading-edge techniques, including the Renew Implant Anchored Denture system with titanium implants, to ensure the best results. Don’t settle for lower quality dentures advertised at bargain prices. The other component in your new smile is the dental implant. Dental implants are titanium screws that are anchored in the jawbone. All titanium implants used in the USA have to meet the same FDA requirements. Dental implants traditionally have a very high success rate. Documented research and clinical studies indicate success rates of over 95% — the highest of any tooth-replacement option. Don’t settle for traditional overdentures where the dentist may not be as experienced, you’re left without teeth for weeks, or the quality of the product may not be the best. Come to Renew for a Free Consultation to hear more about our snap-in dentures, quality features and our assessment of costs for your new smile!